Harvey & Jefferson Mosaics build and supply black and white mosaics for hallways and pathways. These are victorian style mosaic tiles and are designed to reproduce victorian mosaic floors. Our victorian black and white tiles are available in 5mm and 9mm thickness. Our mosaics comprise chequerboard designs in black and white, as well as black/white and colour or a range of colours for hallways and pathways. There is also a range of victorian border designs to match the victorian patterns. The mosaic designs and borders.are reproductions of original Victorian mosaic floors. 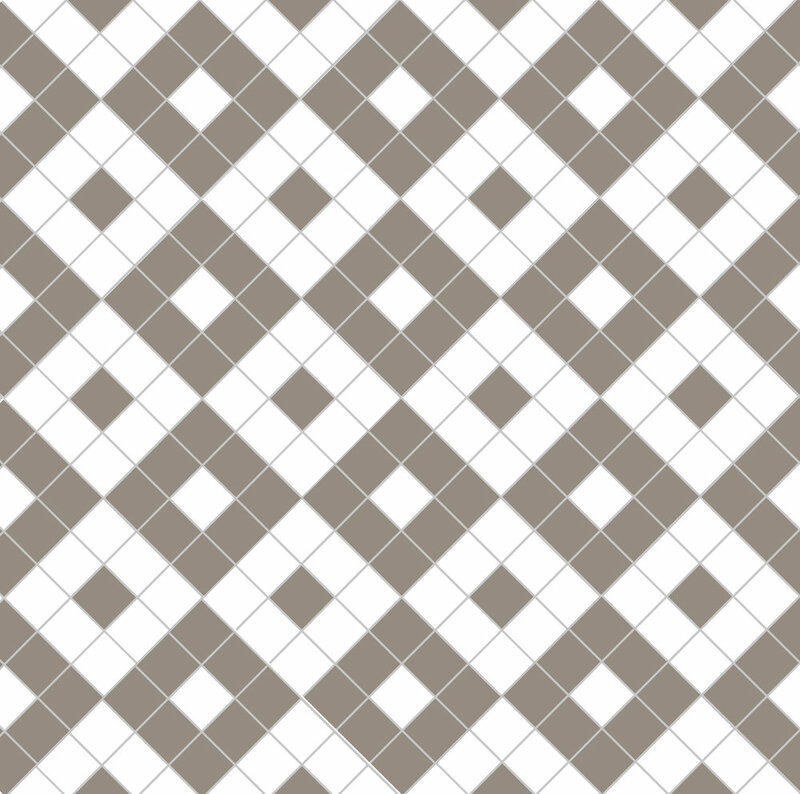 The most common pattern is black and white chequer which we sheet into clear film faced sections along with the black and white borders and these are supplied in an easy to lay kit for your tiler. Black or white triangles for the chequers are included in the square metre price. These are bespoke Victorian mosaics built in our workshop and delivered by courier direct to your door. Black and white mosaic tiles. Made to order and delivered as easy to lay film-faced sheets to ensure accurate and efficient installation. The mosaics are waterproof, frost proof and very hardwearing. The mosaic patterns are made here in Britain and delivered to Uk , Europe or internationally. Our workshop for building victorian black and white mosaics is based in the west country. Thank you for arranging delivery so promptly to site so that we were able to finish on time. Just wanted to say how happy we are with our new path. It has exceeded the already high expectations we had - its wonderful. Thanks for all the hard work that must have gone in to this project, we couldn’t be happier. Victorian floor tile designs available in hundreds of colour combinations - see Colours page for the range. If you want to see a pattern or border in a different colour-way let us know & we'll email you a graphic. Call us on 01736 364877 or 07956 169690 to talk through your victorian tiled floor requirements. Alternatively just email us the dimensions of the space you want to tile info@mosaicsbypost.com and we'll send you a quote to supply the mosaics.